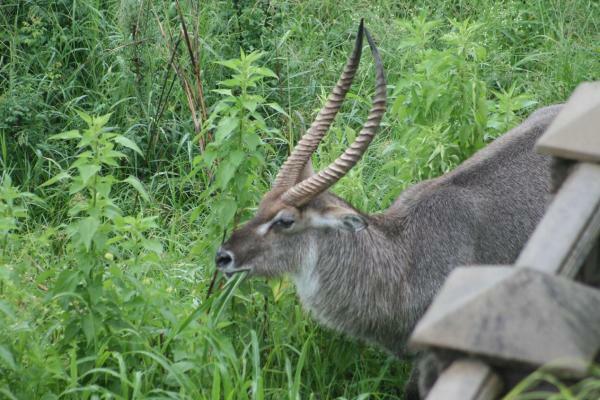 Willem, the Waterbuck, in front of the lodge enjoying the lush bush after all the rain. 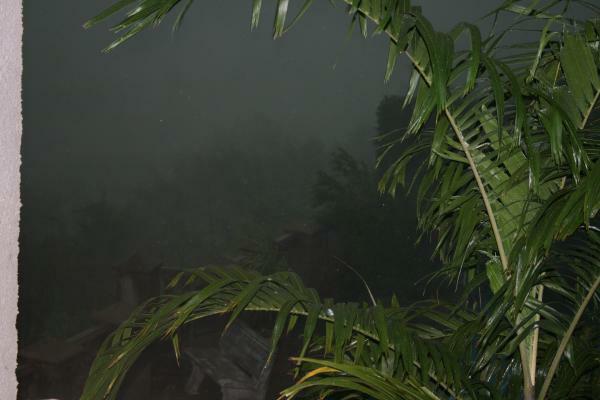 Photo taken yesterday, 13 March '12, at 15h10, during hail storm in Malelane. Trees were unrooted, roof at Bowling Club blown off. Fortunately we had no damage.